After last year’s drought it was a relief to learn, just the other day, that our soil moisture has officially reached normal levels. But as they say, when it rains, it pours. And it’s not only been raining, it’s predicted to start again at around two this afternoon and keep raining until around midnight. Here are a few pics of current conditions – these pics are from St. Charles, but there are problems up and down the valley. 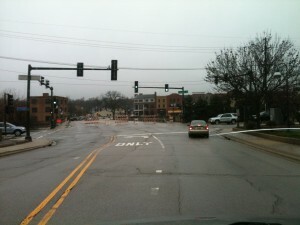 First, the Illinois Street Bridge is closed, not because there is water on the bridge, there isn’t. I remember this bridge closing in 2008, because water had filled the bridge arches and was hitting the side of the deck – a problem for this particular bridge as it’s sitting on the riverbed, rather than anchored in it, so the force of water broadsiding the deck has the potential to unmoor it. Not a big potential, but it exists, so in an excess of caution it was closed. Just a guess, but I suspect the same sort of thing is going on now, since there is no water on the bridge. 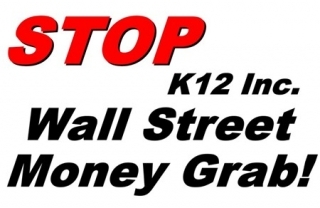 When will the 18 school districts vote for or against K12 Inc.? Pam Verner took the time to contact all 18 school districts and ask when the school board planned on voting for or against the K12 Inc. application for a charter school. 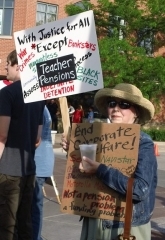 Thanks to Heather Steans, Stand for Children, and wealthy charter school backers, the law (SB79) requires school districts to vote 30 days after the public hearing. 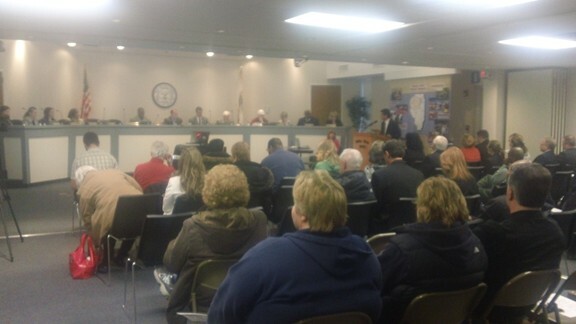 Naperville District 204 @ 7:00 p.m.
West Aurora District 129 @ 6:00 P.M.
– Meeting will be held in the Library. Closed session first, then “may” vote on K12. Geneva District 304 @ 7:00 P.M.